Red Deer, Alta. 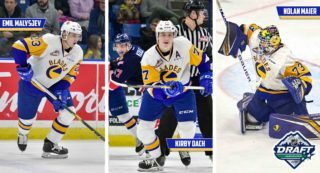 – Another draft day has come and gone with the Saskatoon Blades feeling both excited and confident in their newest group of prospects. The 2018 Western Hockey League Bantam Draft took place in Red Deer on Thursday and the Blades finished the day with 11 players selected. A good mix of players including 5 forwards, 4 defensemen, and 2 goalies were picked. 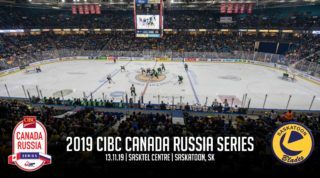 Saskatchewan players lead the 2018 class as the Blades selected five from their home province, and then three each from Alberta and British Columbia. The process began in the first round with 6th overall selection, Colton Dach. The younger brother of Blades’ 2016 2nd overall pick, Kirby Dach, brings a different style of play to the table. The Blades then proceeded to take defensemen with their next three picks in the draft including Prince Albert product Marek Schneider in the 2nd round at 30th overall. 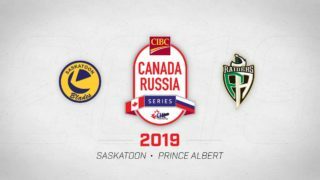 Already standing at 6’0″ tall, Schneider captained his Prince Albert Bantam Raiders this past season adding 22 points in 30 games along the way. He also appeared in six games as a call-up with the Midget AAA Mintos. Saskatoon didn’t hold a pick in the 3rd round but worked to make a deal to acquire an extra pick early in the 4th round from the Portland Winterhawks. In exchange, the Blades sent 2002 born d-man, Kurtis Smythe, the other way. 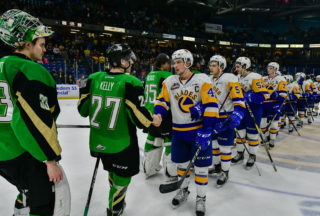 “We were unable to sign Kurtis to a contract so we felt moving him to a team closer to home would give him a better chance of playing in the league,” explained Blades General Manager Colin Priestner. The pick acquired from Portland was then used to select defenseman, Charlie Wright, from the Red Deer Bantam AAA Rebels at the 70th overall spot. With their second pick in the 4th round the Blades selected 6’2″ defenseman, Garrin Scherr, from the West Central Wheat Kings of the Saskatchewan Bantam AA League. Scherr, who is from Unity, scored 7 goals and 24 points in 30 contests this past season while making his big presence known with 73 penalty minutes. “We’re extremely happy with what we were able to do on our backend this year,” said Tencer after the draft. “Getting Schneider and Scherr who are both big right-handed guys from Saskatchewan who both have high ceilings. Then in between those two a very unique, sort of new-age player in Charlie Wright– who we think has all the potential in the world in terms of being a mobile, puck mover,” added the Blades head scout. After the three consecutive defensemen, the Blades went back to a forward and were fortunate to find one in their own backyard. Alex Bernauer, a hometown Saskatoon native, put up a whopping 30 goals and 62 points this past season in just 29 contests. He also got into 5 games with the Midget AAA Saskatoon Contacts where he scored 3 goals and added an assist. Bernauer was also a call-up for three of the Contacts’ playoff games. The Blades sat out the 6th and 7th rounds before going back to another Saskatchewan born forward in the 8th round. With the 155th overall pick, the Blades took Carrot River’s Jayden Wiens who played his last two seasons with the Northeast Wolfpack of the Saskatchewan Bantam AA League. Wiens had 17 goals and 36 points in just 23 outings this past season. Wiens then added 4 points in 4 playoff games and also managed to get into 6 games with the Midget AAA Tisdale Trojans, despite having a later birthday in July and still being just 14 years old. Shortly after taking Jayden Wiens at 154th, Saskatoon selected Jayden Watson at 162nd overall. Watson is from Grande Prairie, Alberta, where he played this past season with his hometown Bantam AAA Storm. Watson plays an aggressive game while also producing offense at an elite pace. In 35 games this year, Watson had 45 points and 77 penalty minutes. He also jumped up to Grande Prairie’s minor midget team where he scored 5 goals and 7 points in 4 games. I am very honoured to be drafted by the @BladesHockey I would like to thank my family and coaches that have helped me get to where I am. In the 9th round, Saskatoon completed their second trade of the day; sending next year’s 9th round pick to Prince George in exchange for the Cougars’ 9th round pick in this year’s draft which was then used to take goaltender Brayden Melnyk. The 6’0″ tall netminder ran a .907SV% while going 12-2 with Yale Academy in the CSSHL during the 2017-18 campaign. The Blades stayed in British Columbia for their second 9th round selection; taking their fourth and final defenseman of the day, Spencer Shugrue. Originally from California, Shugrue now calls Vancouver home and played for Delta Academy Green where he added 12 points from the backend this season. Shugrue also chipped in with a goal and 2 assists in 3 playoff contests this Spring with Delta. The second goaltender of the day came in the 10th round when the Blades took Brodie Guenther from Warman. Brodie spent the last two seasons in the Saskatchewan Bantam AA League with the Warman Wildcats and Sask Valley Vipers. The Blades then finished off the day taking forward Sammy May with the 228th overall pick in the 11th round. The Richmond, BC, product put up 21 points and 48 penalty minutes in 28 appearances with Delta Academy this season. 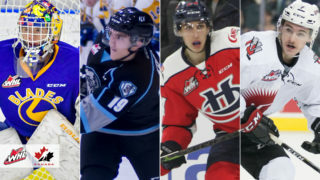 The Saskatoon Blades are very pleased with their new crops of players and look forward to welcoming them to Saskatoon at training camp in August.